A hobby farmer's dream home! A shy 15� acres w/garden, fruit trees & chicken coop. Property features huge heated workshop w/ample equipment storage. Home offers two living spaces on split levels w/pool table in rec room. Lower level has three rooms, w/full baths & laundry room; downstairs kitchen plumbed for installation. Main level offers open style kitchen/dining room & solarium. Large master suite including bathroom w/exquisite granite floor; custom shower & private deck. 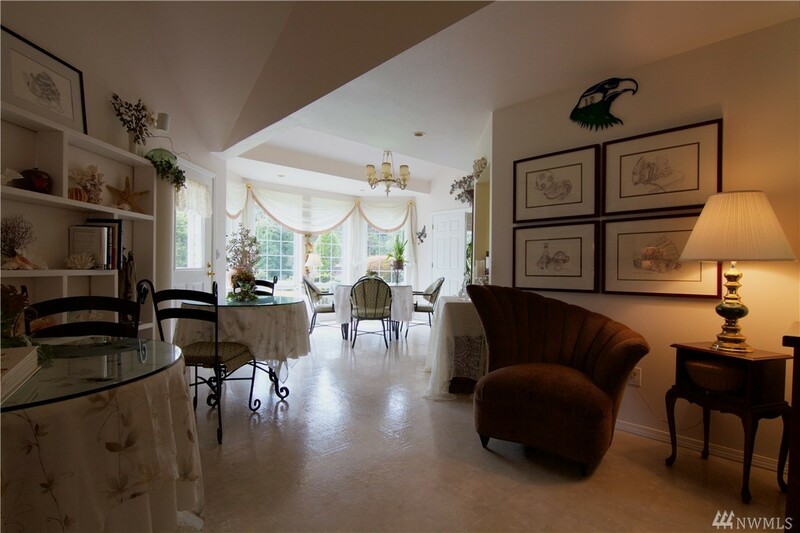 Located on one of the finest properties in Indian Summer Golf & Country Club overlooking the pond. Resort living at it's best w/over 4,000�sf of outdoor entertaining area w/pool & sport court. Old world elegance w/black walnut finishes, imported Italian marble & soap stone counters make this home one of the highest quality properties you will ever see. Chef's kitchen w/commercial grade appl, amazing master suite w/spa bath. Exercise room w/dual changing closets. Custom finishes at their finest. Loads of room in this beautiful custom home on 2�ac in Griffin School District. Borders a serene wetland pond w/tons of wildlife. Only 15� min to West Olympia & I-5. Two lower level den/office/hobby rooms. Kitchen w/center island, walk in pantry, & SS appliances opens to lrg family rm. Formal LR & DR. Upstairs Mstr Bd w/5 piece bath & 2 large guest BR�s. Watch movies in large upstairs bonus rm w/drop down movie screen. 3 car garage. Heat pump. Generator ready. Must see inside to appreciate. Views galore! 2.41 ac Great rm vaulted ceiling,pellet stove,flr to ceiling brick&hearth. Dining ceiling light fan,slider to deck. SS kitchen,solid surface ctr,bay win,island,eat bar,full size side-by-side fridge&freezer,elec range,BImicro,dishwasher,trash comp. Master ceiling fan,slider to covered patio,dual sink, jet tub, tiled shower,dual flush toilet. 4th Bdrm w/2 closets&storage closet, 2 ceiling fans,slider to XLdeck. Must see! Welcome to The Knolls by Ichijo USA! Technological homes of contemporary design now offers The Augusta, 2 story w/basement, fireplace, 4 bed/3.25 bath, West facing backyard over looks green belt! Bonus/loft & laundry on 2nd floor. Ichijo precision factory assembled walls & upgraded rain/air barrier system combine to create a tight & accurate building envelope. Standard proprietary products inc/piano finish cabinetry, magnetic interior door stops and dual-sliding windows. Stop by the model. THE PERFECT LOCATION : Renton/Seattle Home. Newly Built in 2004 & Well maintained. Hardwood Floors downstairs & Bedroom Carpet for Comfort. Kitchen with updated Granite Counters & Island w/ Gas Cooktop for Entertaining. Features Total of 5 Bedrooms & Office - 4 BR/ 2 bath + Office Upstairs & 1 BR 1/2 Bath On main. Enjoy the mountain view From the Entertaining Backyard. Quick Access to Boeing, I5, 167 & 405 for Commuting. Better than new! Beautiful fully-remodeled home. Main level boasts a Chef's kitchen w/granite counters, SS appliances & custom cabinets. Living/dining area w/wood-burning fireplace, master suite w/full bath & extensive tile. 2 additional bedrooms and full bath. Downstairs features a huge rec room, sauna, 2 bedrooms, den & 3/4 bath. Elegant laminate floors, wood blinds & new light fixtures throughout. Shy 1-acre lot w/oversized 2-car garage and RV parking. Award-winning Puyallup School District! Welcome to this exquisite property on a quiet Cul-del sac. This house features designer details and a fantastic floor plan that includes 4 bds/2.5 Bth, office, bonus rm, family rm, dining rm, 3car garage & 2fireplaces. The gorgeous kitchen is equipped w/granite counters, SS professional grade appliances. Professionally landscaped w/ private access to HOA pool, membership to Jenks Park with tennis courts, lake access, boat launch, park playground, covered Patio area, picnic benches and more. Looking for large lot within the city? Look no further, Nice bamboo floor, hardwood floor in all 3 bedrooms on main level, newer double pane windows, Lots of extra parking. Swimming pool in the back just need to be clean up. Huge garden space. On lower level has full kitchen, 2 bedrooms and a full bath, Eating space and specious living area with cozy fire place. Perfect for mother in-law. Easy access to all amenities. Another huge price reduction. 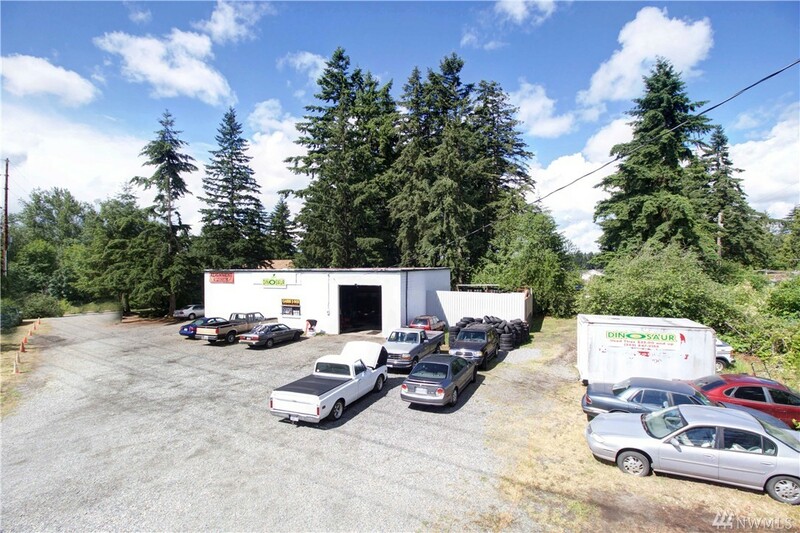 19+ acres in a great North Kitsap location. Located on Hansville Road about a mile north of Hwy 104. easy commute to Kingston ferry or to Bangor. 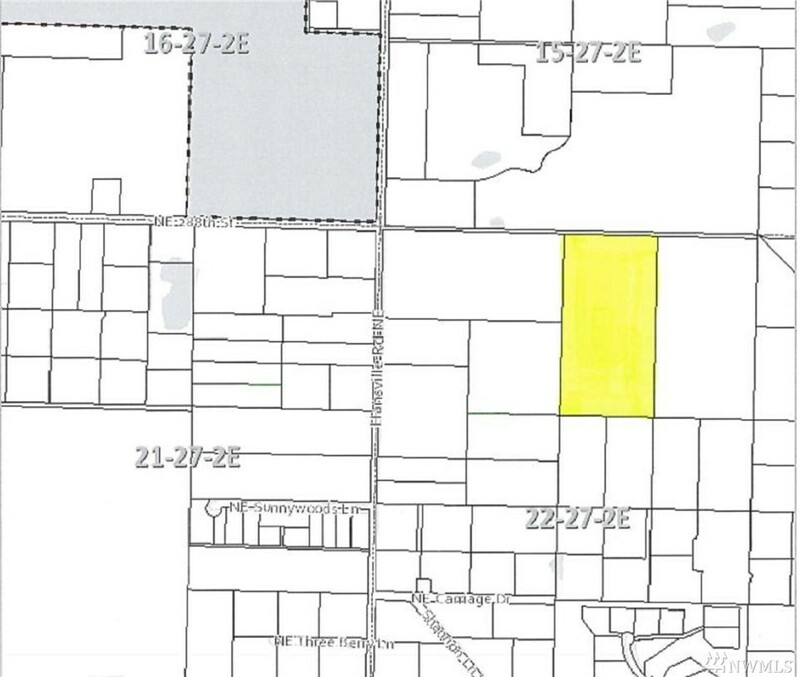 Zoned RR, 1 dwelling per 5 acres. A wonderful property that is mostly flat with some rolling, some treed with evergreens and some pasture. The potential is only limited by ones imagination. 18 acres to the west is also available. Excellant FREEWAY frontage at Exit 231 on I-90. 45 prime acres (more or less) 224 feet from the West bound exit. Danekas road frontage of 1793 feet. Traffic count on I- 90 is 18,000 vehicles per day. This super property is easy on/off from freeway. The property would make a good camp ground, fuel station, fast food or? Call today for more information. 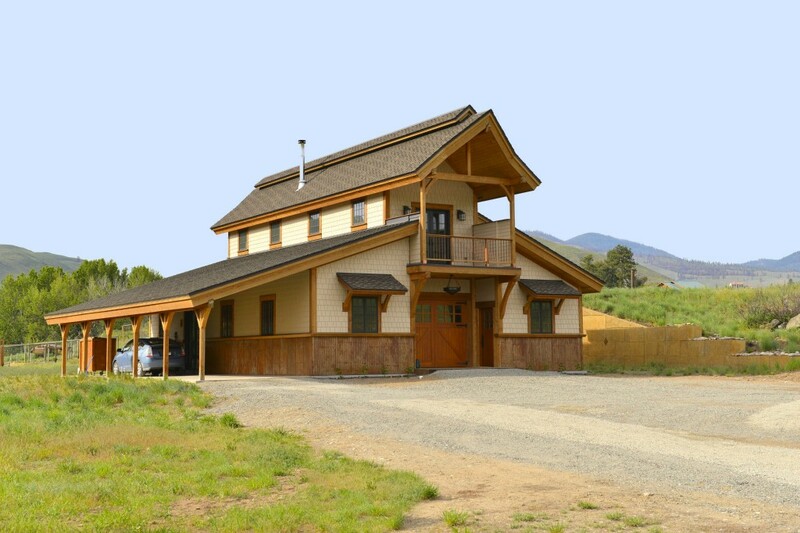 Custom Rendezvous home on 20 acres; passive solar designed with low maintenance as the focus. Artistic 1,300 sf stucco; 2 BDRM, 2 BA, designer concrete floors, stucco walk in shower with artistic details, open floor plan, french doors onto a courtyard & hot tub with deco glass fencing & private views of the Valley & mountains. Includes a studio apartment, detached double garage, heated shop, covered carport, custom teepee with propane fire pit, & small out building or equestrian barn. Modern split entry home from the 80s era. Located in the most sought after warm, quiet, green Madrona neighborhood. Walk to Madison Valley fine restaurants, shops, stores & the WA Park Arboretum. Short drive to multiple beautiful Lake Washington beaches and Downtown Seattle. 4BR, 3BA, 2 FP, private alley access to 1 car garage & RV/Boat parking. New carpets throughout, new paint, energy saving AC/heat pump, Partial solar ready, two newer decks & all new energy saving windows. Fantastic flat acreage just waiting for 5 Acre or Rural Cluster. Logging roads with significant amounts of road bed established throughout the property. Water wells in the area at about 200', great soils for septic. Create a community of high end homes in a secluded yet accessible & very desirable location just minutes from all major amenities. Plenty of home site options for any floor plan & room for shop/outbuildings. Owner will consider contract terms. Includes 2nd Parcel #31042600301100.